It’s Day 3! 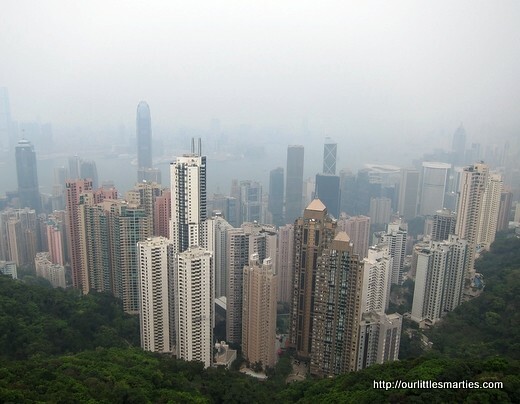 Our plan is to visit Hong Kong’s most famous scenic spot – The Peak! 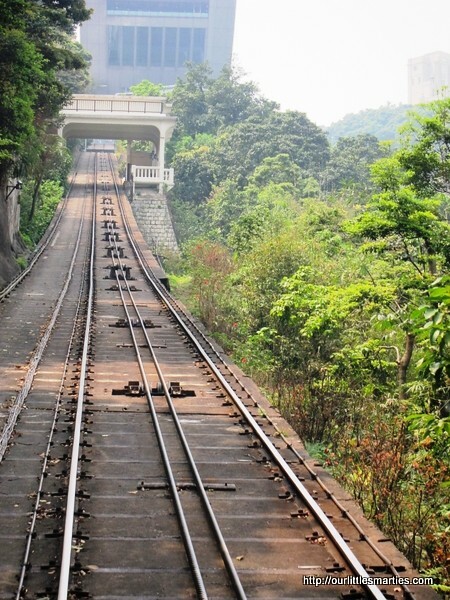 To get to The Peak, we took the Peak Tram which is one of the world’s oldest and most famous funicular railways. The Peak Tram station is about 10 to 15 minutes walk from MTR Central Station. Given the cool windy weather, it felt so good to walk outdoor. Unlike Singapore, it will make you sweat in less than 5 minutes! The tram ticket including admission to The Sky Terrace costs HK$65. The tram ride is truly a unique experience. 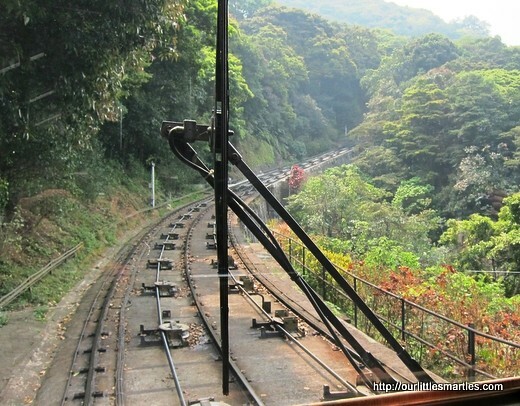 The tram rises to 396 metres above sea level. It’s so steep that the buildings we passed look like they are leaning a gradient of between 4 to 27 degrees! It’s also slightly bumpy as it climbed laboriously up the slope. Due to safety reasons, strollers are not allowed to be pushed onto the tram. We had to fold it up before we board the tram. It was a Saturday, thus the queue was slightly overwhelming and the tram was fully packed with passengers. It took us about ten minutes to reach The Peak. Here we’re at the Peak Tower! There is a dazzling array of restaurants, shops and entertainment venues here. We had our lunch at Hong Kong Café in the Peak Tower. We tried some of their classic dishes including Hong Kong style milk tea and stir fried rice noodles with beef. Taste good and reasonably-priced. 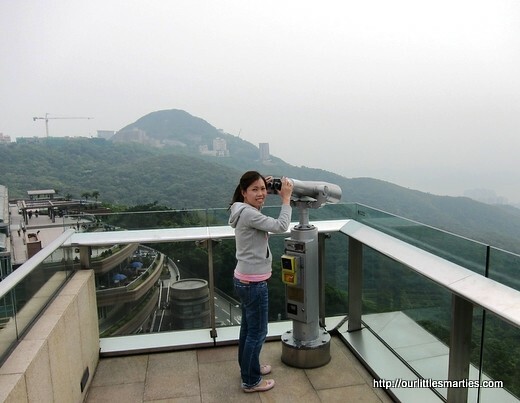 The Peak Tower boasts the highest 360° viewing platform called The Sky Terrace. Standing at 428 metres above sea level, it offers spectacular view of the surrounding city skyline. 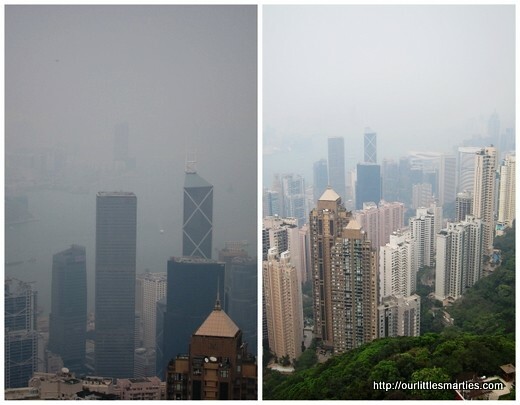 Here are some delightful pictures taken at The Sky Terrace. As you can see, the weather was quite hazy on that day. 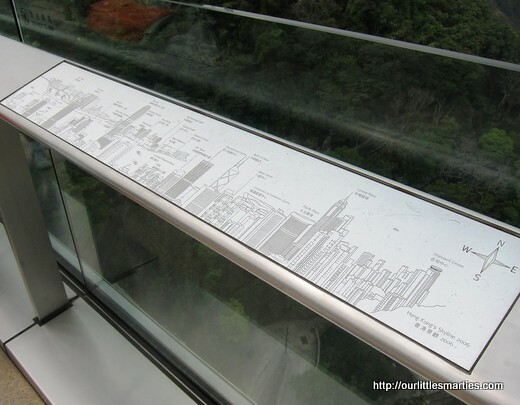 This is the map of Hong Kong’s skyline from the Sky Terrace. The Peak Tower also houses Madame Tussauds Hong Kong. This is a wax museum which is organized into six thematic sections where visitors can view lifelike wax sculptures of famous people and idols. Some of the popular figures at the museum include Bruce Lee, Jacky Chan, Andy Lau, Brad Pitt, David Beckham and Barrack Obama. This is V with “Michelle Yeoh”. 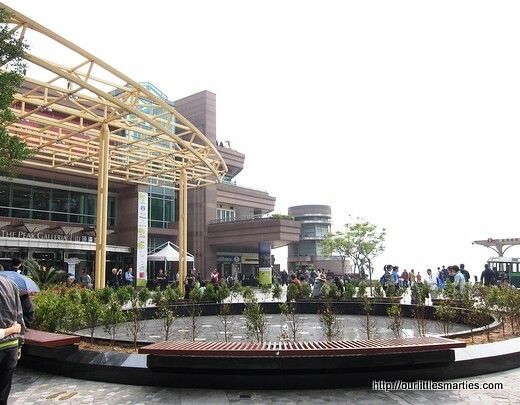 The Peak Galleria is a big shopping center where visitors can find an exciting range of specialty shops offering everything from contemporary lifestyle designer products to eye-catching art works and charming handicrafts. 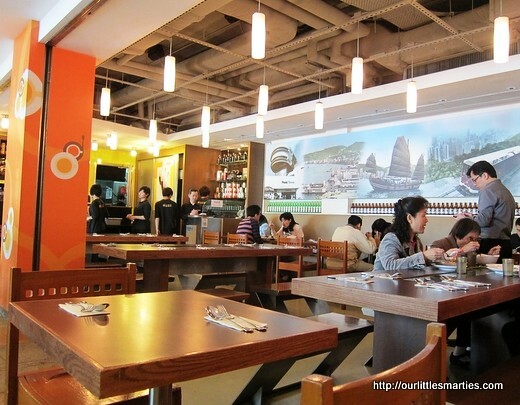 Local delicacies in authentic Hong Kong-style restaurants are also available here. 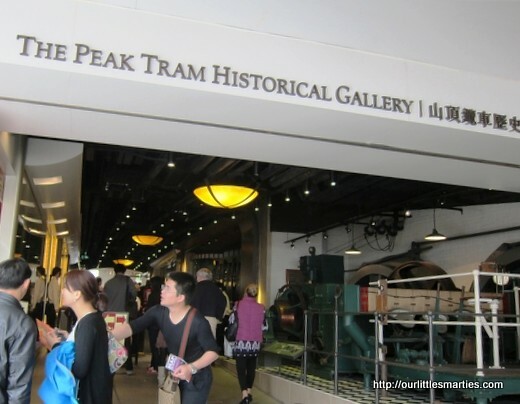 Our tour at The Peak took half a day – from riding the Peak Tram, viewing the city at the Sky Terrace, visiting Madame Tussauds wax museum and shopping for souvenirs at the Peak Galleria. We left for Mongkok at about 4pm. More on shopping at Mongkok in my next post, stay tuned! Thanks for visiting my blog. Have a wonderful trip to HK!